The results from your hearing test will provide our audiologist an outline of what sounds you may be missing or hearing. The personal answers about your daily life and perception about your hearing provide the basis for a more comprehensive hearing evaluation. 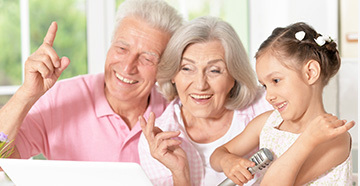 If your hearing test reveals a significant hearing loss, hearing aids may be recommended. Our audiologist will explain what sounds you are not hearing and what hearing aids can do to help. Our audiologist will help you choose the best hearing aid style, features and level of technology depending on your degree of hearing loss, lifestyle, and personal preference. The final decision on which hearing aids are purchased is your choice. The majority of hearing aid fittings today are done with an open fit technique which allows the ear canals to remain completely open so that the wearer does not have any type mold in the ear. However, if the type of hearing you selected requires earmolds, our audiologist will make impressions of your ears. All hearing aid fittings come with a 45 day trial period in order to make sure you are pleased with the results. 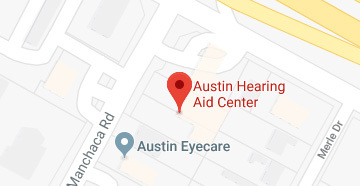 Austin Hearing Aid Center works with many different insurance companies to provide our patients with the best options available when it comes to hearing care and hearing aids. We are always happy to check your hearing benefits.